Gov. 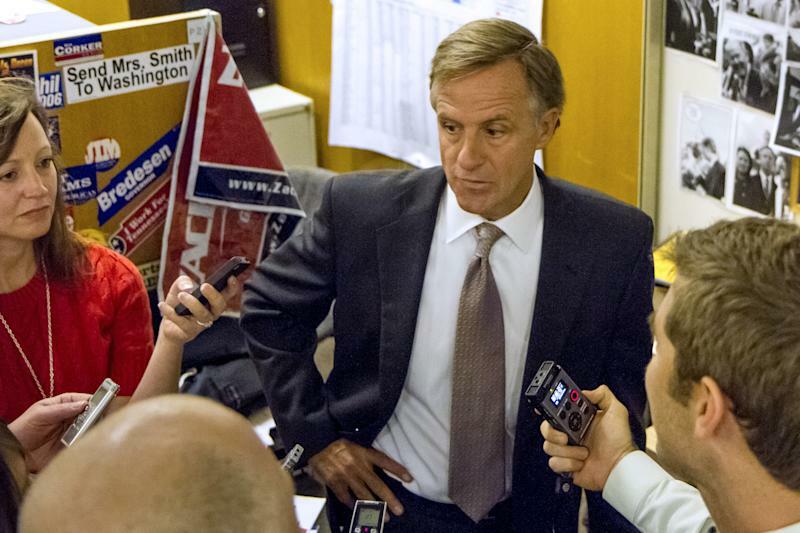 Bill Haslam speaks to reporters during an impromptu visit the press suite in the legislative office complex in Nashville, Tenn., on Tuesday, April 16, 2013. The Republican governor said he still doesn't know why federal agents searched the Knoxville headquarters of the family-owned Pilot Flying J chain of truck stops. (AP Photo/Erik Schelzig). NASHVILLE, Tenn. (AP) — Cleveland Browns owner Jimmy Haslam said Tuesday the federal government has launched a criminal investigation into rebates offered by the truck stop chain owned by his family, including his brother, Tennessee Gov. Bill Haslam. Agents from the FBI and Internal Revenue Service raided the Pilot Flying J headquarters in Knoxville on Monday. Jimmy Haslam, who is the CEO of Pilot Flying J, held a news conference in Knoxville to confirm the investigation is criminal, rather than civil, in nature. "We don't know a lot. It appears to be centered on a very insignificant number of customers and the application of rebates, that rebates that were owed to the customers were not paid. We, of course, disagree with that," the CEO said. Haslam said subpoenas had been issued to several members of his 23-person sales force, though he said he was unable to identify any specifically. Haslam said he had not been subpoenaed and no one has been arrested. Bill Killian, the U.S. attorney in Knoxville, told The Associated Press that four search warrants have been served on Pilot, but the reasons have been sealed by a federal court. FBI and Internal Revenue Service agents locked down the Pilot Flying J headquarters Monday afternoon and ordered most employees out of the building as they conducted their search well past midnight. Haslam said essential personnel were allowed to remain in the building to ensure the company's nearly 500 truck stops had sufficient fuel supplies. It was unclear why the IRS was involved in the raid, he said. "It does not involve, as best we can tell — and I'm pretty sure we're right — any type of tax issue," he said. "So there's no evasion of tax or federal taxes, which candidly is what your suppliers, particularly fuel suppliers, worry about." Investigators are looking at rebates offered to trucking company customers, the company said. Some trucking companies receive discounts or rebates on fuel purchases from truck stop chains. Haslam said that the company is launching an internal investigation, and that his responsibilities as owner of the Browns wouldn't be affected. He said he planned to travel to Cleveland this week and next as the team prepares for the NFL draft. "First of all I apologize, because the last thing we ever want to do is put any kind of blemish on the city of Cleveland — which we've grown to love — or the Browns," he said. "So I personally feel bad about that, even though I don't think we've done anything wrong." Law enforcement experts say a likely reason for the suddenness of the search is that federal investigators want to preserve as much evidence as possible under a warrant approved by a federal judge. Former federal prosecutor Jeffrey Neiman said search warrants are sought when investigators fear that documents could be lost or destroyed before being requested under subpoena. "Search warrants of big companies are rare and they are going to be done when the investigators have a sense of urgency," Neiman said. Earlier Tuesday, the Republican governor made an impromptu visit to the press suite in the legislative office complex in Nashville to discuss the raid. He said that he had not been contacted by federal authorities and that he was going to concentrate on "being governor and doing things I can control." Bill Haslam said he has not had an active day-to-day management role in the company in 15 years. He defended keeping his unspecified holdings in the privately owned company outside of a blind trust he established for his other investments after he was elected governor in 2010. 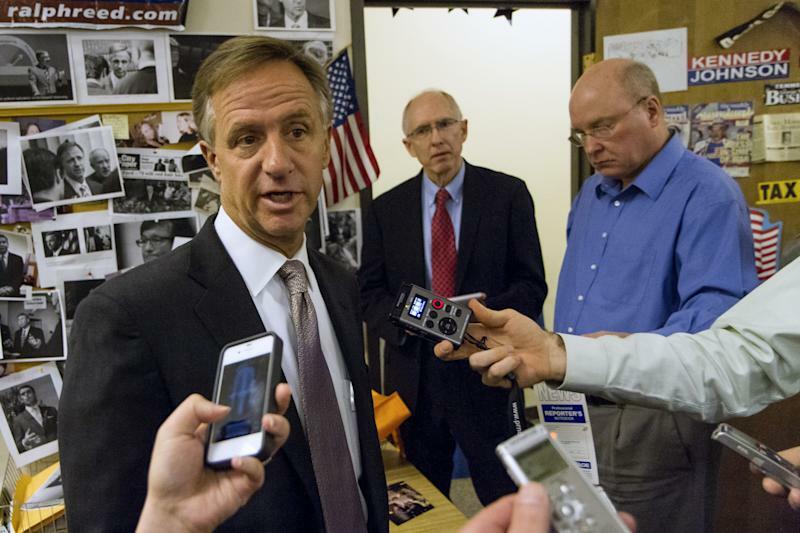 "The point of a blind trust is to say 'I don't know that I own that,'" Haslam said. "As I said at the time, it felt a little disingenuous to say 'I don't know if I own Pilot or not.'" Haslam has refused to divulge how much money he earns from his stake in Pilot, which had $29 billion in revenues in 2012. He has argued that releasing his Pilot earnings would reveal personal information about the income of family members not running for office and proprietary information. The Haslam brothers are supporters of the University of Tennessee, where their father, Jim Haslam, played tackle on the 1951 national championship football team under Gen. Robert R. Neyland, who built the Volunteers into a football powerhouse. The elder Haslam founded the Pilot Corp. in 1958 with a single gas station in Gate City, Va. He credits his sons with expanding the chain from mostly gas stations and convenience stores to a "travel center" concept featuring branded fast-food service. 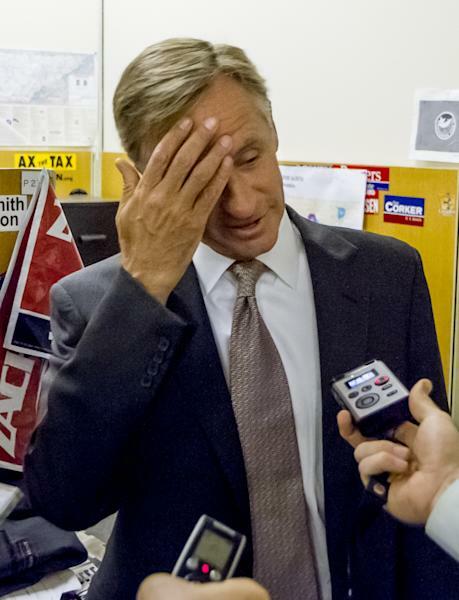 Bill Haslam acknowledged that the federal raids were worrisome. "That's a business that obviously my family is involved in, people I care a lot about," Haslam said. "And to say, 'Oh, it doesn't feel like a big deal,' is wrong." Sainz reported from Memphis and AP Sports Writer Steve Megargee contributed from Knoxville.